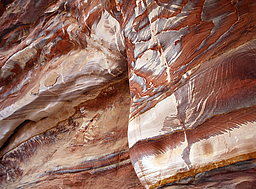 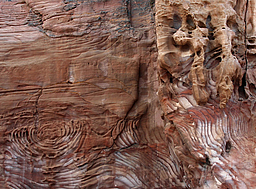 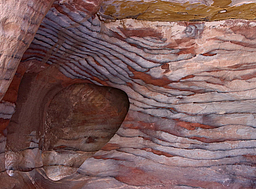 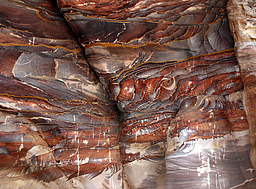 Take your time to enjoy the multicolored and rhythmic patterns of the Umm Ishrin sandstone layer of Petra, formed 540 million years ago. 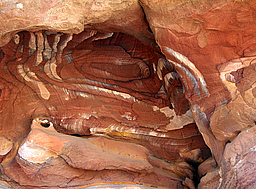 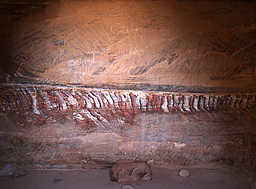 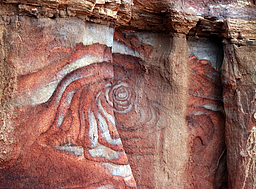 The brilliant tones originate from various iron and manganese oxides, together with hydroxide minerals within the sandstone. 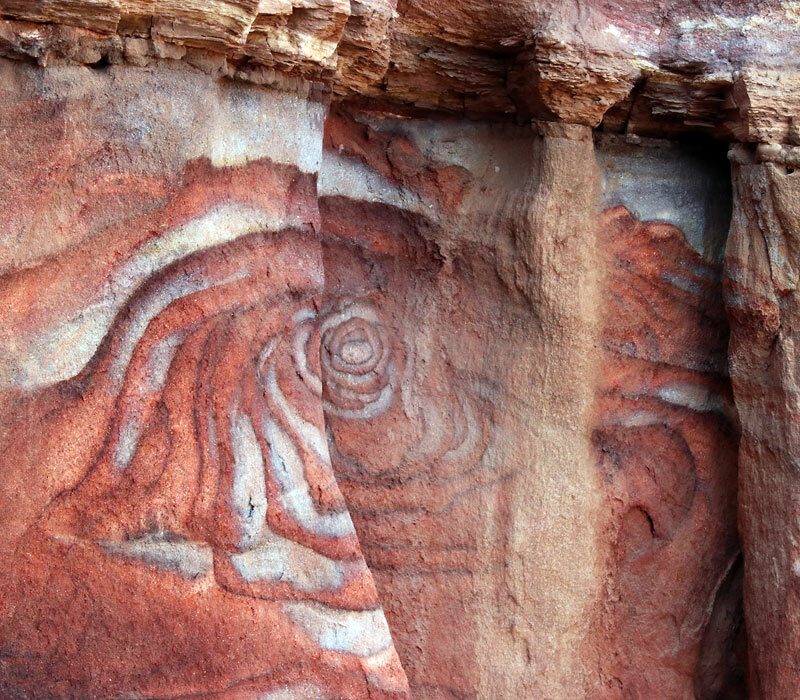 As Ammar Khammash, architect and artist, passionately wrote: "Petra represents a wonderful site where geology and archeology beautifully coexist. 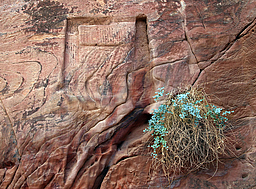 To better understand the monuments of Petra, one should pay some attention to the geology of the site, and attempt to understand the qualities of stone the site has given to the Nabataean carvers. 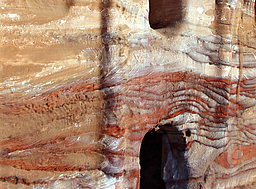 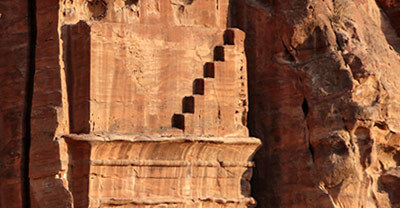 It can be assumed that the sandstone layers in Petra were the leading factor behind the choice of this location, the scale of its monuments, the fine architectural details, and the good state of preservation the city of Petra has retained to this day. 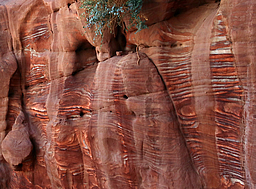 It might be more appropriate to view Petra not as a collection of monuments with geological features in-between, but rather as a site of geological features with monuments adding to its glory."